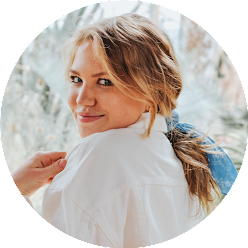 The other day, when it was 5 degrees outside, one of my best friends and I decided it would be just the perfect occasion to walk down to Milwaukee's Third Ward to pop into Anthropologie and the Public Market. The third ward is such a fun area of our city, and since living downtown, it's definitely a place that is so much easier to take advantage of, which I really love! Our walk down ended up being close to four miles, so by the time we got back to my house we were definitely ready for some lunch. Introducing: the avocado grilled cheese. Basically a glorified avocado toast situation, because you get two slices of bread instead of just one, and who doesn't love some good melty cheese to top things all off?! We used one avocado, parsley, olive oil, s&p, rosemary bread, and fresh mozzarella! That's it! 1. First, slice up your bread and spread a little olive oil onto the backs of each slice. 3. 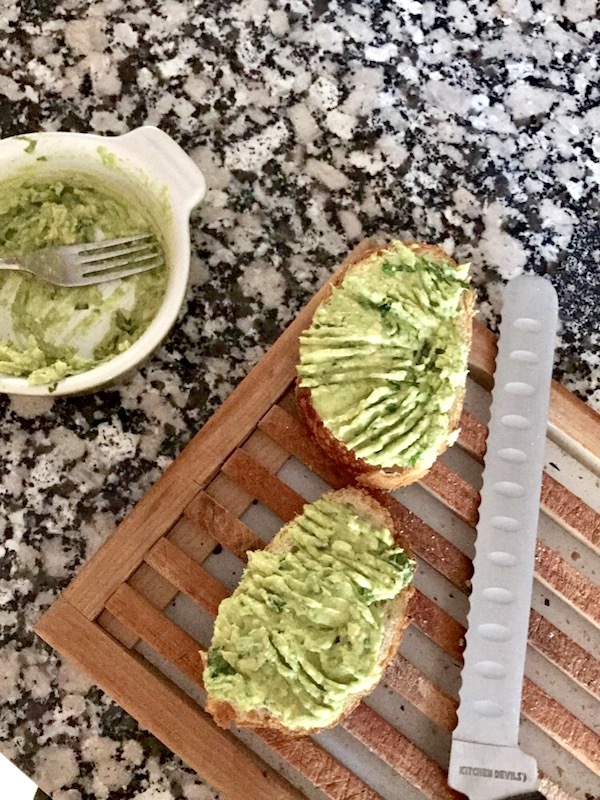 While the mozz starts to melt, mash your avocado with parsley, olive oil, and salt and pepper and then spread onto the front side of your other slice(s) of bread. 4. We put the avocado slice right on top of the cheese slice that was already on the pan and then flipped the whole sandwich over! The timing worked out so that the cheese side was perfectly grilled. They turned out so easy and delicious, and pretty healthy too! I definitely want to try using feta next time for cheese (that's my favorite!) and mixing up the avo smash concoction! Have you ever made an avocado grilled cheese? Omg this looks incredible. 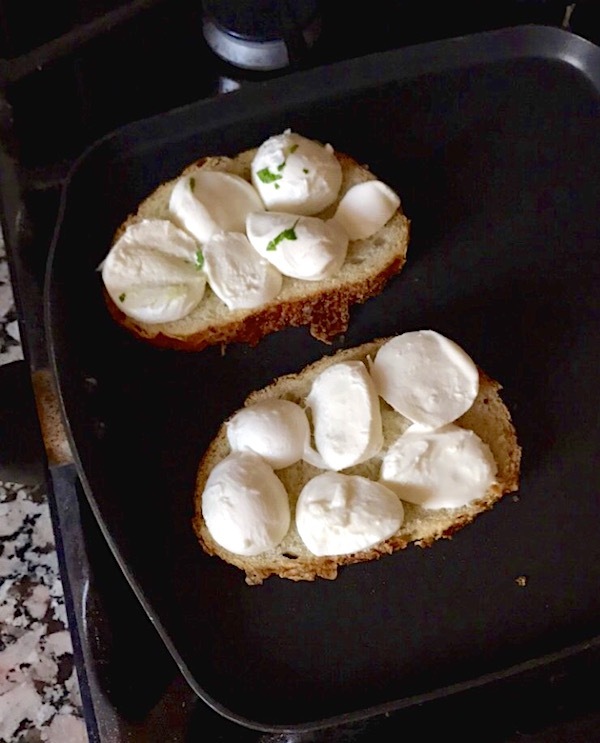 Fresh mozzarella is the BEST!